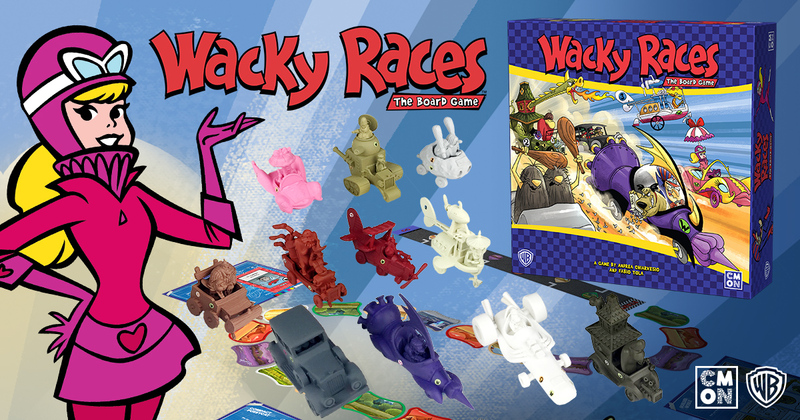 July 20, 2018 – CMON Limited is off to the wild-world of cartoon racing with their upcoming release of Wacky Races, in partnership with Warner Bros. Consumer Products, based on Warner Bros.’ popular Hanna-Barbera cartoon. Recreate the crazy, fun, and yes... wacky races from the adventurous 60s animated series. Wacky Races’ easy-to-learn rules will be a sure hit with families or any gaming group looking for some light-hearted, competitive fun. The board game will be available in early 2019 in both a regular and deluxe edition. The deluxe edition will come with pre-painted miniatures, while the regular edition will include one-color miniatures.